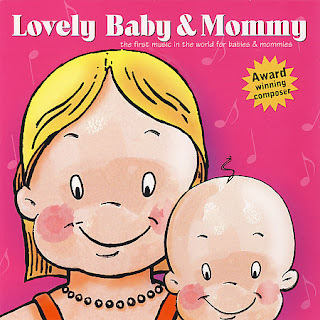 "Lovely Baby Music is proud to announce the long-anticipated release of their Lovely Baby & Mommy CD. Lovely Baby creator, Raimond Lap, has composed a collection of ten special songs celebrating the importance of moms everywhere, and their integral role in their baby's development. This unique collection will surely strengthen the natural bond between mother and child." The Lovely Baby & Mommy CD has such cute songs on it. My favorite part is that at the beginning of almost every song you can hear kids and other relevant sounds during the intro. For example, in the first song, "She is a Mom," you can hear kids saying the word "Mom" over and over. And in the "Precious Sounds of Nature" song, you can hear waves rolling and wind blowing. And the baby cooing and laughing during "Baby Communication" is just adorable. The harmony at the beginning of "Nature's Surprise" is also flawless and beautiful. In general, the music is catchy with great melodies. This CD will surely make you smile, and you'll be singing the songs all day long. It would make a great Mother's Day or birthday gift for a mom, and I'm sure that any babies listening would thoroughly enjoy it as well! Cost: You can buy the CD for $14.99. Overall: We give the Lovely Baby & Mommy CD an 8/10. How would you like to win my copy of the Lovely Baby & Mommy CD? We were sent a copy of the Lovely Baby & Mommy CD free of charge for the sole purpose of this review; no other compensation was received. All opinions expressed are my own. Lovely Baby Cd 1 sounds like it would be a good one. I would love to listen to and own the Baby Christmas 2-CD Bundle! Baby Christmas looks like fun too! Yes, winning this cd would be great and inspirational for my baby and me! How can I enter?? Awww, this sounds like a terrific CD. Baby Magic looks like it would be great for our kids.